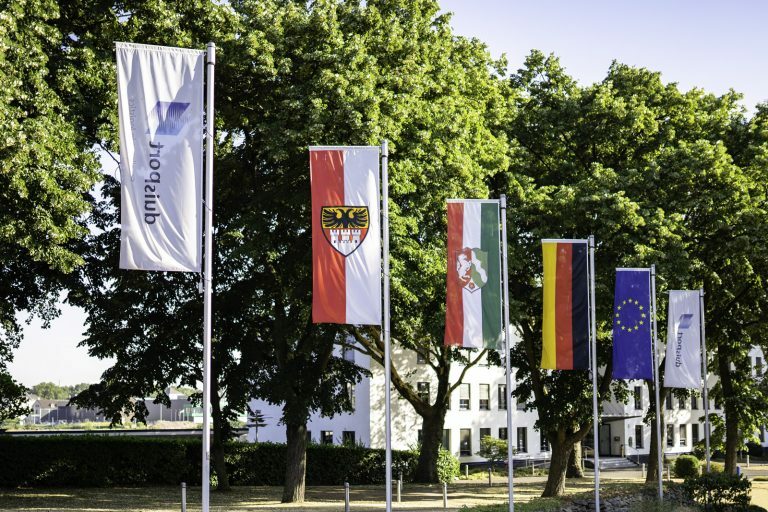 Ordered structure and binding regulations are the prerequisite for trouble-free operation and smooth processes – and thus also for the success of the port of Duisburg. 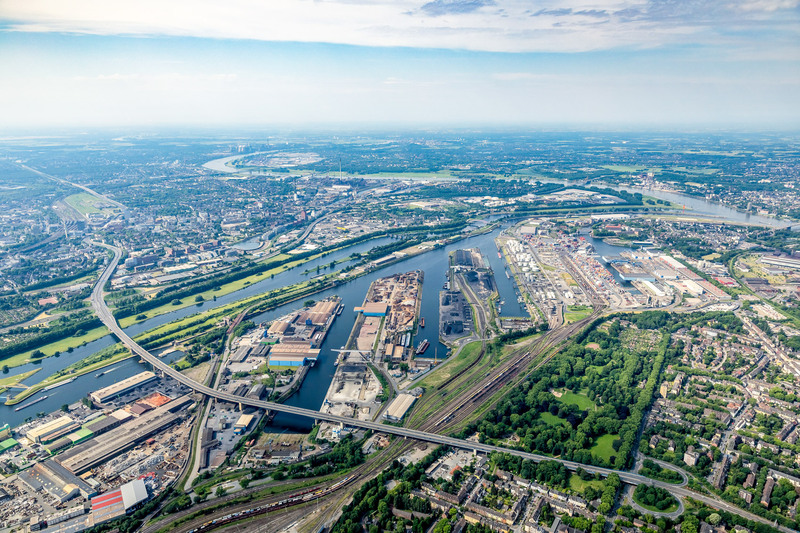 Duisburger Hafen AG takes the tasks of the port authority for the public ports seriously for the city of Duisburg. The port authority is responsible for order and safety in the harbor. Water pollution control (informing the appropriate departments and implementation of measures for water pollution. The guarantee of safety of operation and traffic in the port is the highest priority task of all participants. To this the following composition of the most important regulations and rules of conduct for port operations should also be used. The regulations and directives of the Deutschen Bahn AG for operation of the connecting railways in the port area. The accident prevention regulations for the respective operating mode. In addition there are more obligations for the port residents from the individual lease and building rights. All routes on, along or in front of the operating premises (e.g. streets, paths, stairs, berms, rail facilities) must be continually kept clean by the business owners. Winter service is also included in cleaning. The routes, also especially the pedestrian areas, must be cleared of snow as fast as quickly as possible and grit applied to slick areas. Type and scope of the cleaning obligations are determined according to the respective street cleaning articles of the city of Duisburg. When clearing railway track crossovers and crossings of occurring snow, it must not be pushed into the adjacent track area. Lane grooves must always be clean. Objects or materials that get into the harbor waters due to handling or other reasons and thus endanger ship travel or can cause flattening of the harbor waters or threatens to permanently change the water, must be removed immediately. 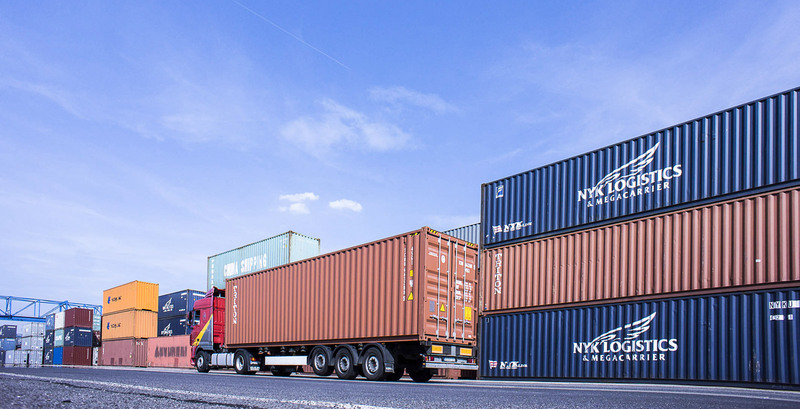 Picking out cargo from the water must only be done under the supervision of duisport facility logistics GmbH (call 803-4233), since improper work can lead to potholes and damage to the shoreline facilities. If the responsible party is not able to immediately provide their cleaning or removal obligations and would cause through it an acute danger, then other traffic participants must be warned in time and the port authority (call 803-4582) informed immediately. Waste water treatment plants, grease and benzene separators must be cleaned regularly – at least every 6 months. Verification of this must be made. Protection of the environment from avoidable negative influences is also of special significance in the port area. In addition to handling the water polluting substances with a sense of responsibility, this also includes protection of the land and soil as well as the ground- and harbor waters from entering pollution and the ordered disposal of commercial and household waste. Here the company owners are also responsible for the proper removal of such waste that is stored on the premises by third parties without authorization. 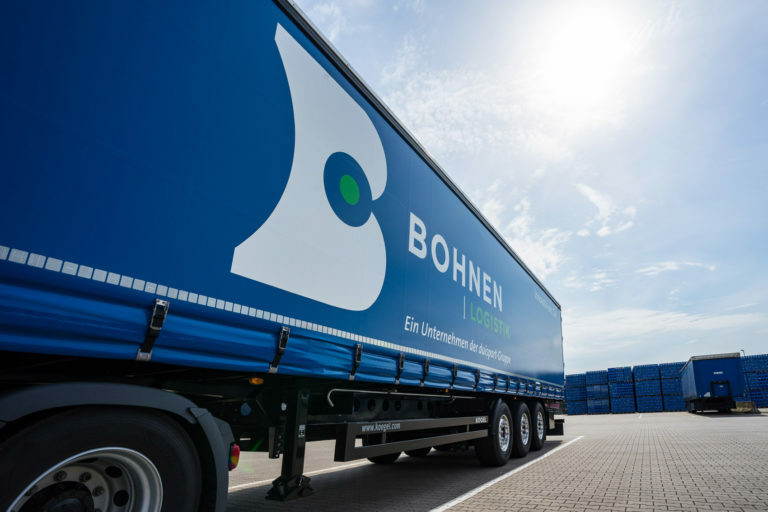 When warehousing cargo, especially of water polluting substances, on locations at risk of high water, suitable measures must be taken in proper time against possible water or land pollution. When storing and unloading heavy loads, including the setting up of auto cranes, the permissible load on the shoreline facilities must not be exceeded. In all cases contact must be made with the Environmental Management department of Duisburger Hafen AG (call +49 203 803-0). The supply facilities, such as lamp posts, cable ducts, waterworks valves, hydrants, meter ducts and cabinets as well as the covers of the drainage systems, must be accessible at all times. 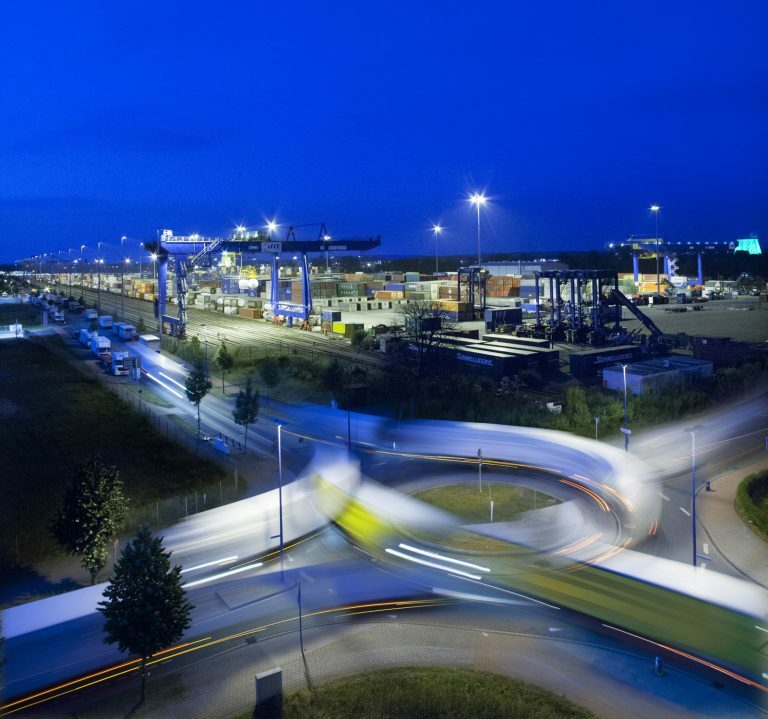 Motor vehicles must only be loaded and unloaded within the storage places, on street ramps and – after express permission – during the established loading deadlines on track areas paved for this. The warehousing areas driven on must be paved and cleaned continually, so that neither cargo residues nor dirt can get on the access roads from the tires of the vehicles. Parking vehicles on the streets in front of the company premises is only permitted if the safety and ease of movement of the through traffic is not negatively influenced by this. ‘No parking’ signs must absolutely be complied with. Also vehicles must not be parked in the railway track area (2.5 meters on both sides of the track center, in compliance with the BOA), driving on tracks is especially prohibited. As much as required, special parking spots of that type must be set up on the company premises, which exclude a hindrance of the flow of traffic due to parked vehicles. 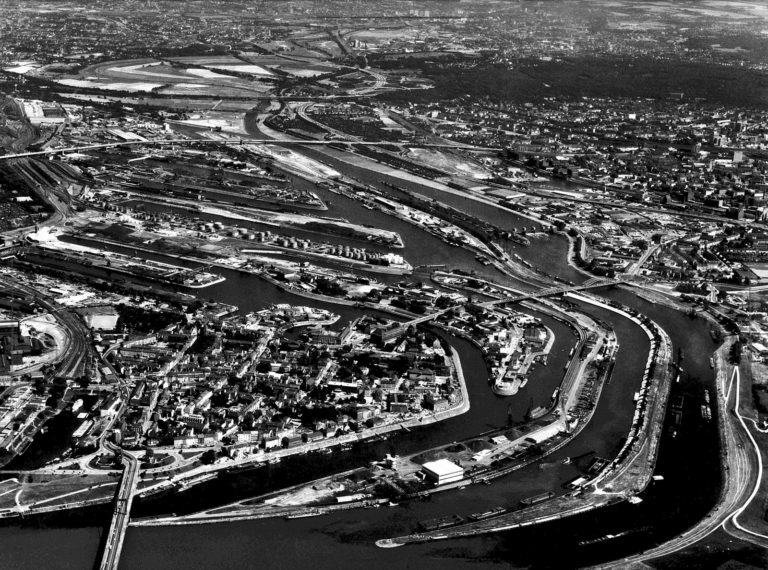 In the port everyone must behave in such a way that the safety and proper operation of the port and port facilities, along with the environment, are not negatively influenced, and that nothing else is damaged or put at risk, or hindered or inconvenienced more than is inevitable under the circumstances. Polluting the harbor is prohibited. The ship operator of a vessel, as well as the owner or responsible supervisor of a floating installation, shall ensure that vessels and floating installations are securely fastened to the structures provided for this purpose or other moored vessels. They also have to ensure that the fastening is monitored if necessary and adjusted to the water level fluctuations as well to changes in draught caused by loading and discharging. By mooring or anchoring, transhipment as well as the traffic on the water, the quays, stairs and climbing ladders must not be hindered more than is unavoidable in the circumstances. It is forbidden to tie up across railway tracks. Ship operators, owners or responsible supervisors shall appoint a suitable representative for the period of their absence. The representative must be available on short notice and be able to provide information on the vessel, its cargo or the floating installation. Moreover, the representative must fulfill the duties of the ship operator or responsible supervisor. Moving rail cars using industrial trucks that are not set up and approved for this purpose is not permitted. Moving vehicles using a crane is only permitted using pulleys with overload protection fastened on the crane undercarriage corresponding to the relevant regulations. Moving vehicles with the load or load removal equipment is prohibited. Rail cars moved by the residents must again be set back out of the switch areas free of fouling point and properly secured. Sitting rail cars must be secured with hand brakes or otherwise with the wheel chocks or drag shoes. Other aids (wood, iron pieces, etc.) must not be used. Readjusted hand switches must be put back in base position so that the tongue tips lie fixed. Driving onto manual switches is not allowed. Warehouse owners bear the responsibility for accident-free working of their employees when moving rail cars. Unloaded rail cars must be properly cleaned, locked and equipped with all loose accessory parts safe for traffic with careful removal of all loading residues. 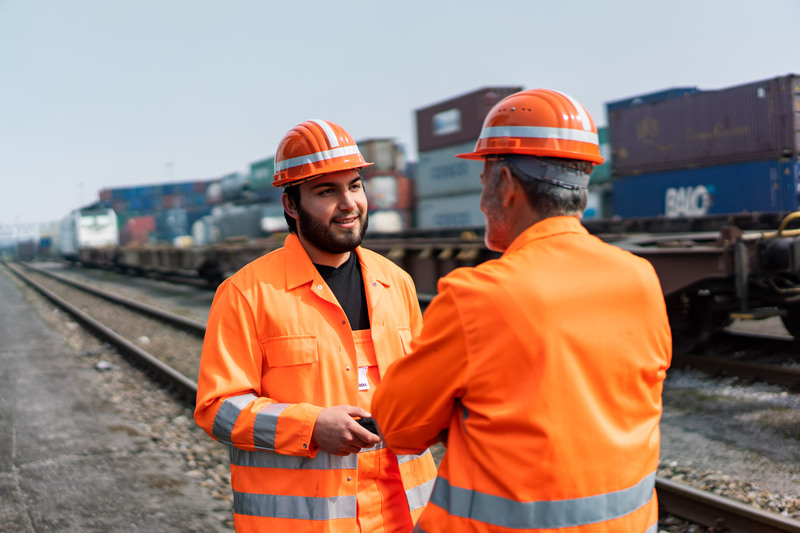 Any damage or derailing of rail cars as well as damage to the railway facilities or safety equipment must be reported immediately to the responsible works supervisor. Putting cars back on the rails must never be done alone. Crane work, which goes beyond the established guidelines and fall during the rail service times must be indicated to the responsible works supervisor or crew duty service. Cranes may not be moved over freight cars being classified. In idle position they must always be locally secured and parked free of fouling point. 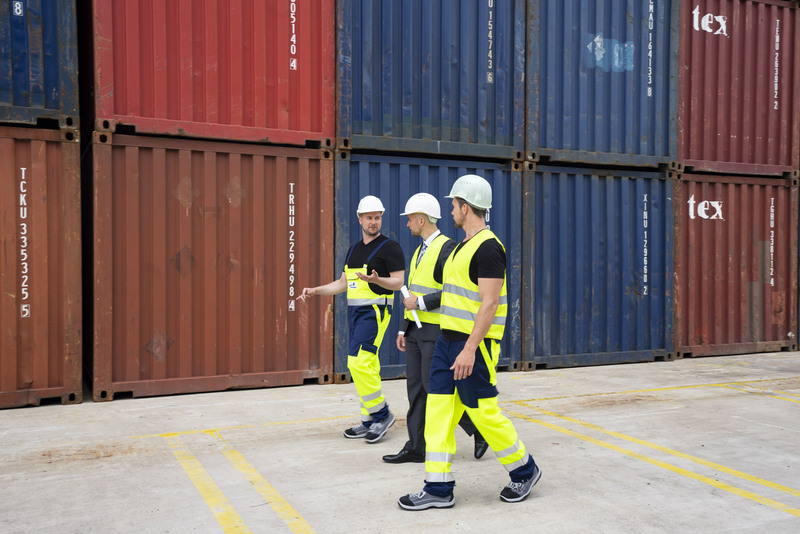 Work in the track area must be notified to the department of port maintenance (call +49 203 803-4323). Service trips at high water times can no longer be done on already flooded rails. No open fire may be made in the port area. The prior written authorization of Duisburger Hafen AG is required for building, changing, demolishing or dismantling structures and for soil exploration work. Damage to port facilities and equipment must be indicated to duisport facility logistics GmbH (call +49 203 803-4233) immediately. 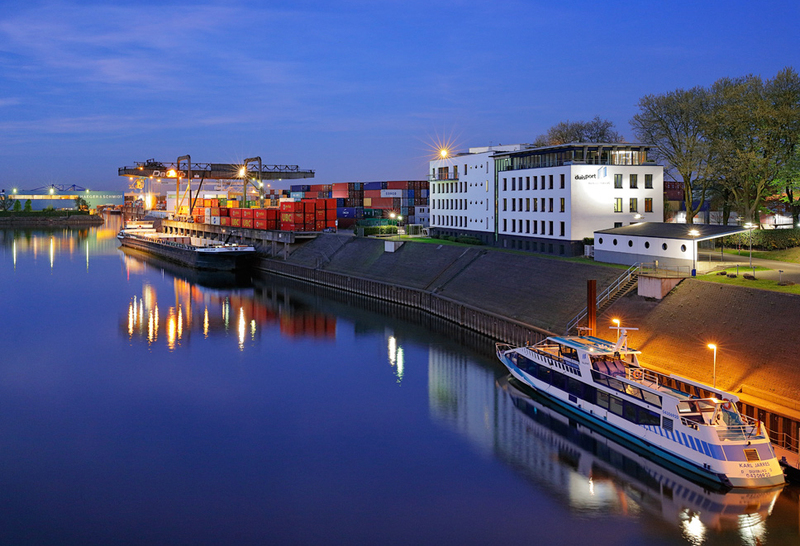 Here you will find the most important phone numbers from around the port of Duisburg. You can of course contact us for more information.